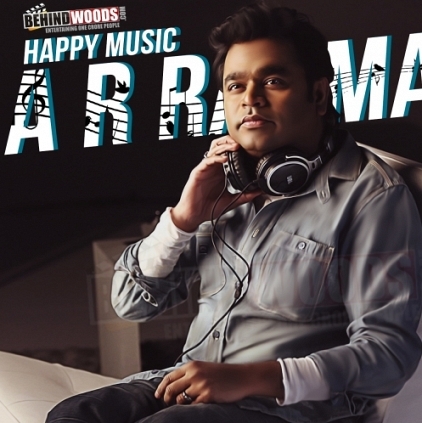 Celebrated for bringing a whole new sound to Tamil film music, AR Rahman has made an everlasting impression with his composing ability. From levitating the visuals to making timeless pieces, Rahman was destined to become an international icon ever since the album Roja released. Since then, the journey has always been on the upswing for the Mozart of Madras. Be it the choice of voices or the uniqueness with the instrumentation and arrangements, Allah Rakha Rahman continues to be a committed technician, making his presence felt in the background score too. Celebrating his 48th birthday today, the 6th January 2016, Rahman recently tasted success with Tamasha’s music and just a bit of Thalli Pogadhey in Acham Yenbathu Madamaiyada trailer which is already making fans go crazy. The devoted composer is right now busy with Rajini-Shankar’s 2.0. At this special for music, we at Behindwoods take the opportunity to wish the pride of India, a very happy birthday. Achcham Yenbadhu Madamaiyada Shoot To Be Wrapped In 2 Days? People looking for online information on Achcham Yenbadhu Madamaiyada, AR Rahman birthday, Enthiran2 will find this news story useful.